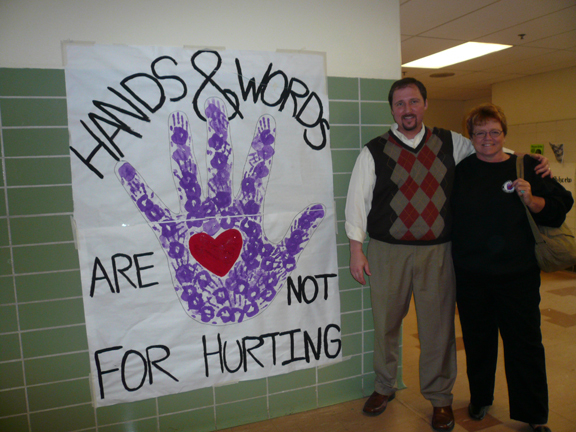 French Road Elementary has partnered with “Hands & Words” since 2009. 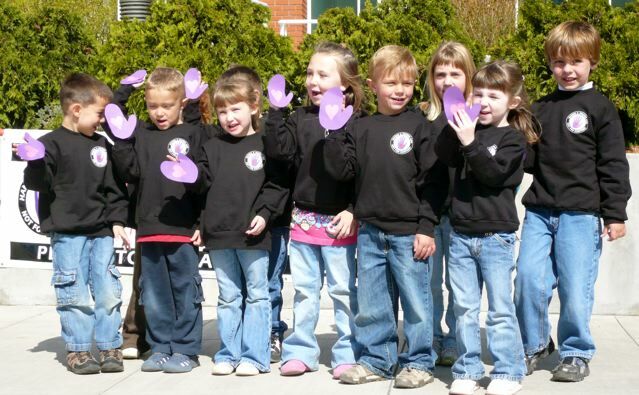 Students and staff recite the Pledge Daily and Always have their Purple Hands Pledges displayed year round. One of our “Model” Schools that have Effectively Implemented and Sustained our program year after year. 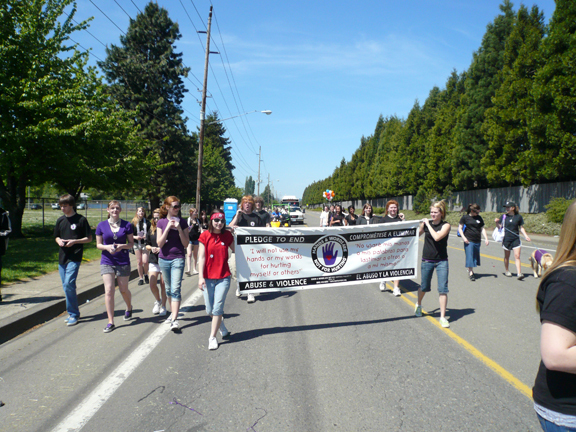 They received the US Department of Education’s National Blue Ribbon Award in 2011. 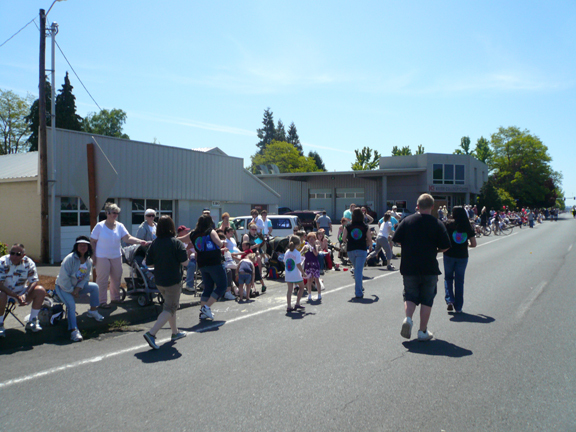 Community is a central component of French Road Elementary School. 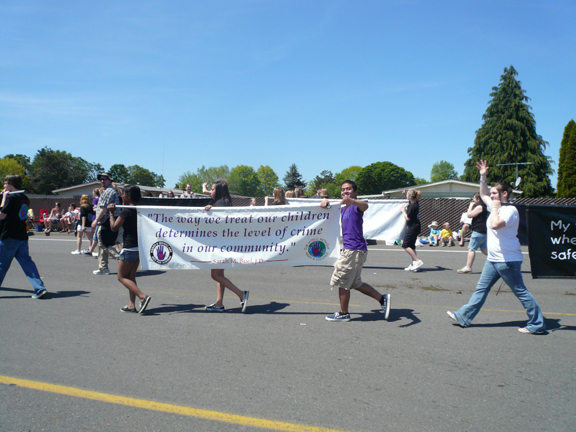 Its students are not only encouraged to succeed academically but to be constructive members of their communities. 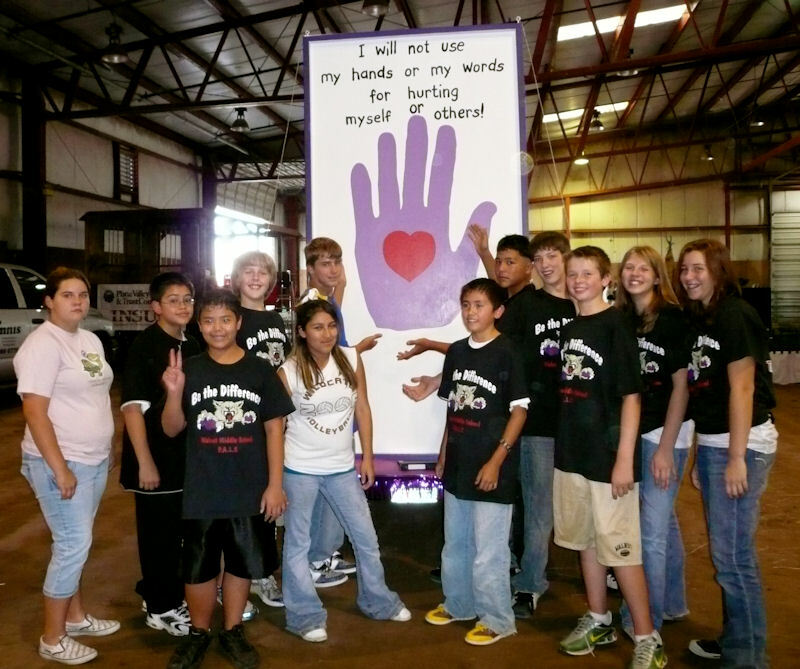 In an era where school bullying is far too prevalent, French Road students start their day by reciting the school’s Purple Hand Pledge. 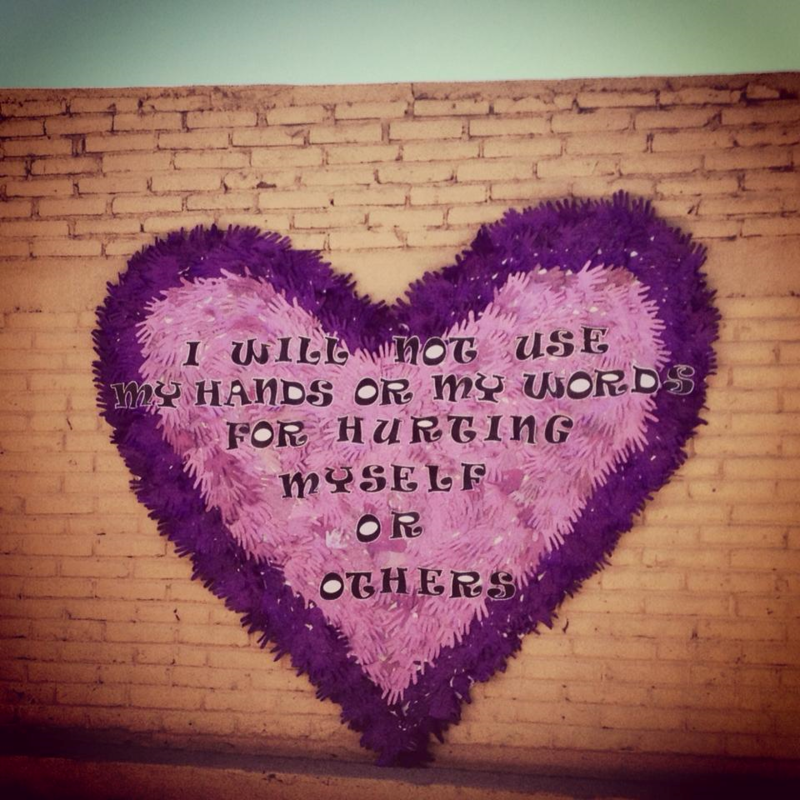 It reads, “I will not use my hands or my words for hurting myself or others.” It is a simple message that should be emphasized more throughout school communities around the country. 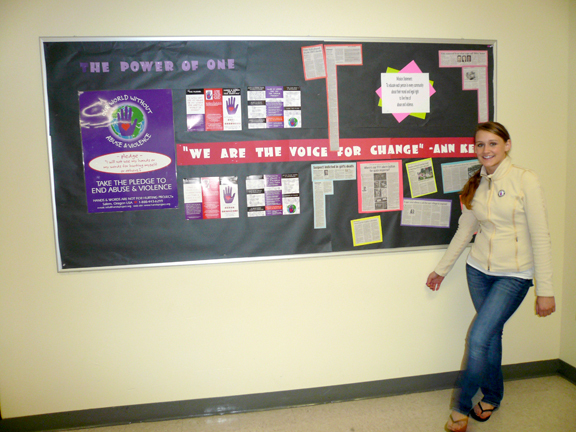 After using the pledge for the past two years, we wanted to reinvigorate our staff and students with something cool. Several of us watched the Pink Glove Dance videos on Youtube, where hospital staff across the United States danced with pink gloves to bring awareness to the fight against breast cancer and that people are not alone in that fight. We loved the videos, loved the message, and loved “You Won’t Dance Alone.” The song has a positive message that fits perfectly into a no bullying philosophy emphasize that if you are bullied, you are not alone. We are in this together! So – during the 2010-2011 school year, teachers, secretaries, bus drivers, cafeteria staff, teaching assistants, custodians, nurses, administrators, etc., secretly prepared dance routines while wearing PURPLE gloves. We showed the video to the kids at a special school wide assembly. They loved it! We hope you will too! 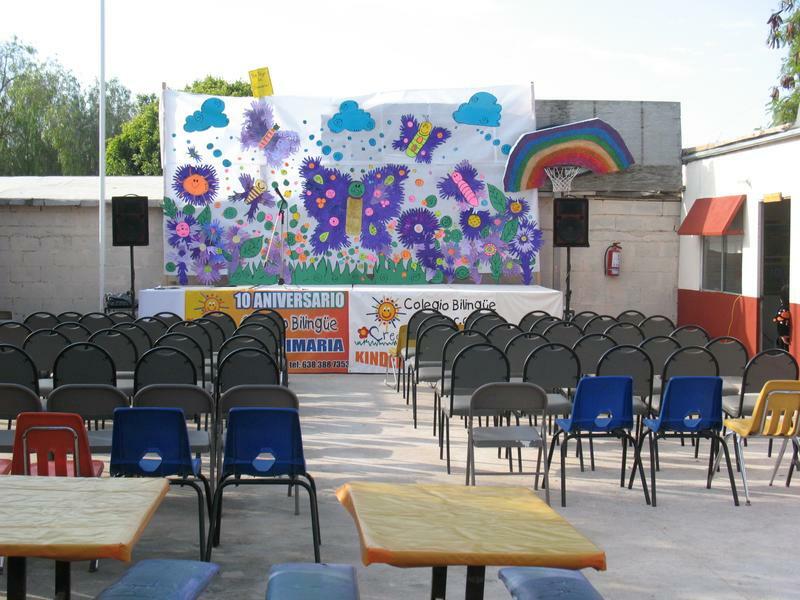 [Not a valid template]Since 2012 three schools on St. Thomas, US Virgin Islands have adopted the Hands Project. An official chapter was established by Judy Barzey, M.D. 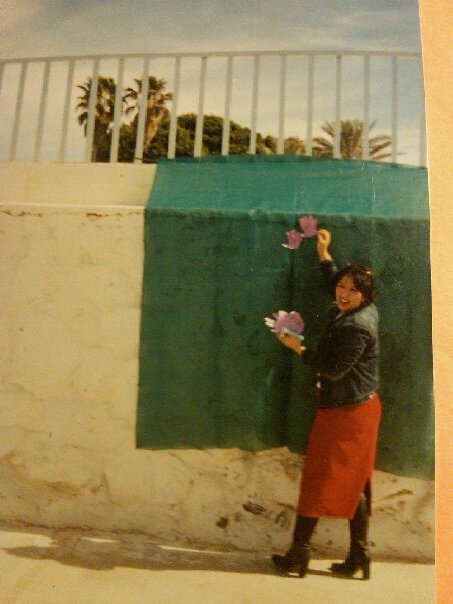 a mother and practicing endocrinologist. Dr. Barzey has recruited chapter members comprised of local leaders to implement the Hands Project across the island. Separate parent and teacher trainings have been conducted and well received. Ann Kelly provided the trainings and presented at that Youth Gang Violence Summit where high school students from the island attended. Community members welcomed the Hands Project with open arms, celebrating their opportunity to make a lasting positive impact. 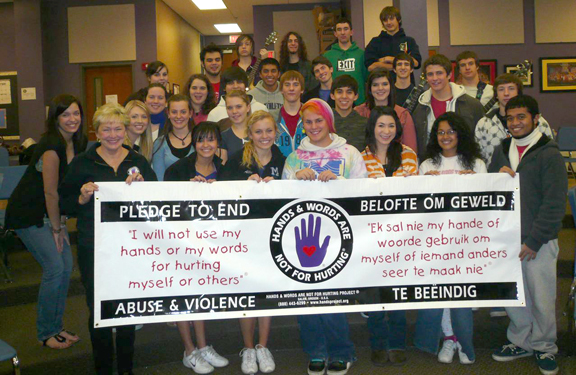 [Not a valid template]The Families against Violence Awareness Program (FAMSA) adopted the Hands Project in 2010 and has been implemented in forty nine schools in the Northwest Province of South Africa (cities include: Potchefstroom, Klerksdorp, Stilfontein, Orkney, Vryburg and Rustenburg). They have reached over seven thousand students with eighty six percent indicating that taking the Pledge will make a difference in their lives. 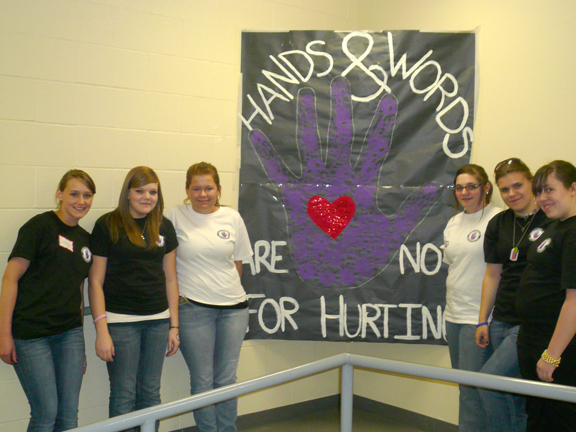 Student activists under the guidance of Mr. Jim Taylor, Director of Choirs, created an elective “Hands and Words Are Not For Hurting Project Class” promoting widespread participation in the Purple Hands Pledge to end abuse and violence in their homes, school, community and internationally. The Hands Project’s most recent international partnership was formed with the Family and Marriage Society of South Africa (FAMSA) and their Director, Marietha Oelofse. 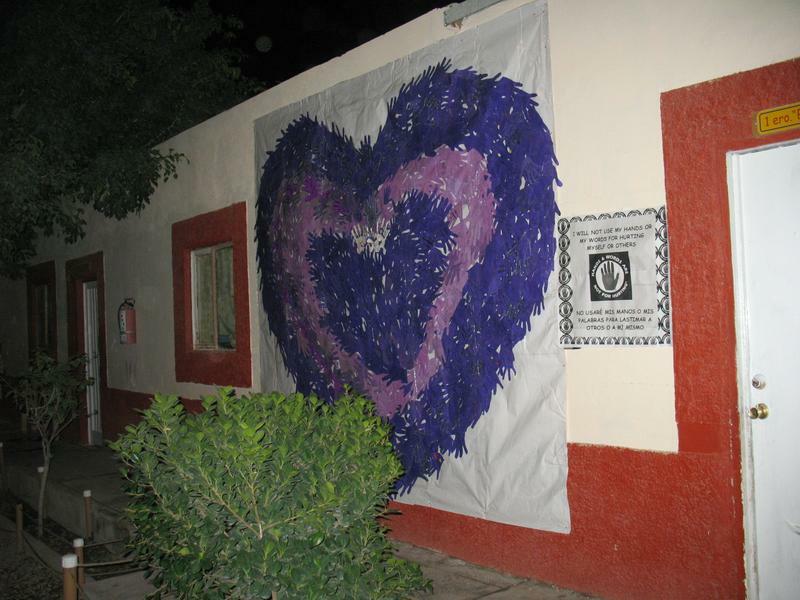 FAMSA created a program entitled “Violence Awareness Program” to work with children in their schools as a tool to be used by educational trainers to seriously address the issues which help to perpetuate violence in the home and society. 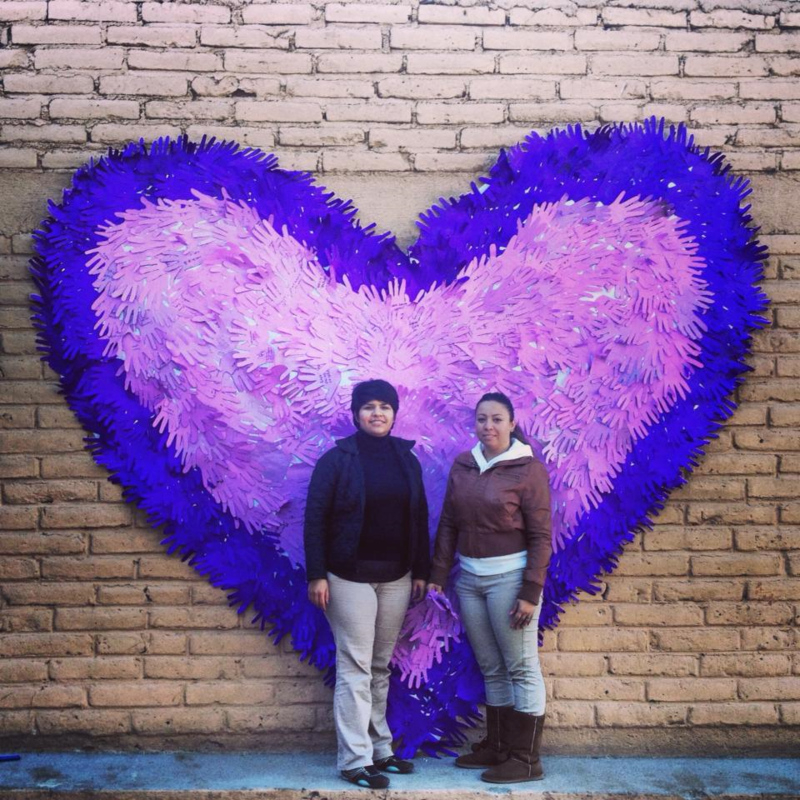 They found the Hands Project on the internet and thought “it was a stunning idea”! In just one short year a strong alliance has begun. Funding was not possible for FAMSA to purchase Hands Project materials. The Hands Project Director asked McNary High School if they would be willing to raise money to send “Hands” materials to the participating schools in South Africa. Their answer was a resounding YES! 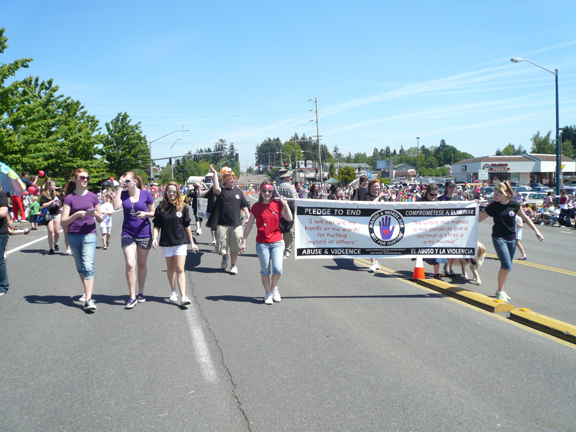 The McNary students are overjoyed with the difference they have made in this endeavor! 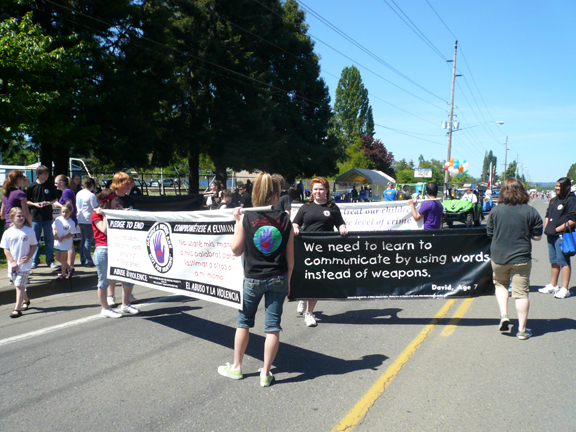 (Pledge Banner shown above in combination English and South Africa’s native language Afrikaan). 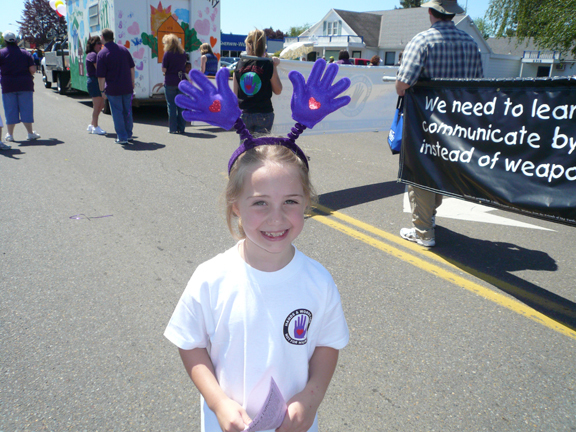 Klamath CHILD ABUSE PREVENTION (CAP) is an action group made up of a dozen local State, County, and Federal agencies along with private individuals to promote awareness and prevention of child abuse and neglect in Klamath County, Oregon. 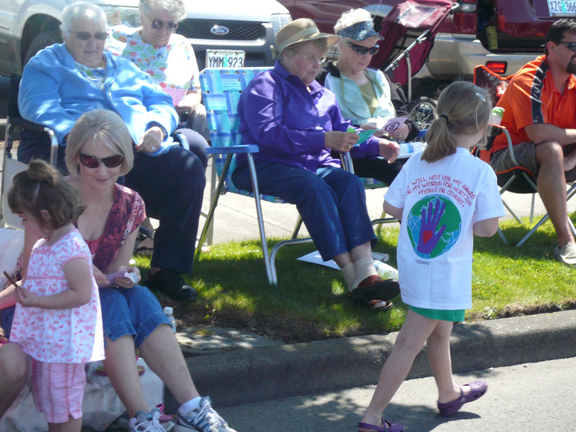 Children from the Klamath KID Center mark the final day of April's Child Abuse Prevention Month by leading the participants in the Hands and Words Are Not For Hurting Pledge at the 'Creating Hope for Our Community' rally outside the Klamath County Government Center. 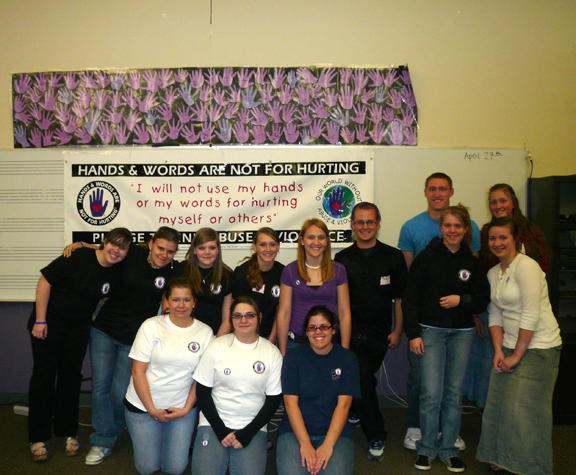 CAP learned about the Hands Project in the fall of 2007 and felt that it was an excellent program that they would like to bring to their area and support as a year-round project. 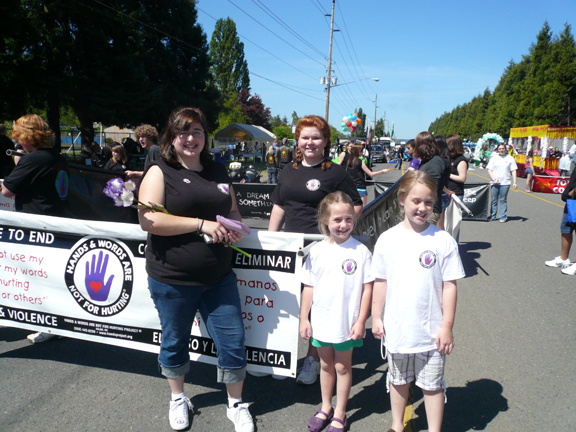 Michael Kaibel, Prevention Coordinator, Klamath CHILD ABUSE PREVENTION (CAP) demonstrates the “Power of One” to encourage and inspire a community to unite in this simple yet powerful Pledge to end abuse and violence wherever it exists…. 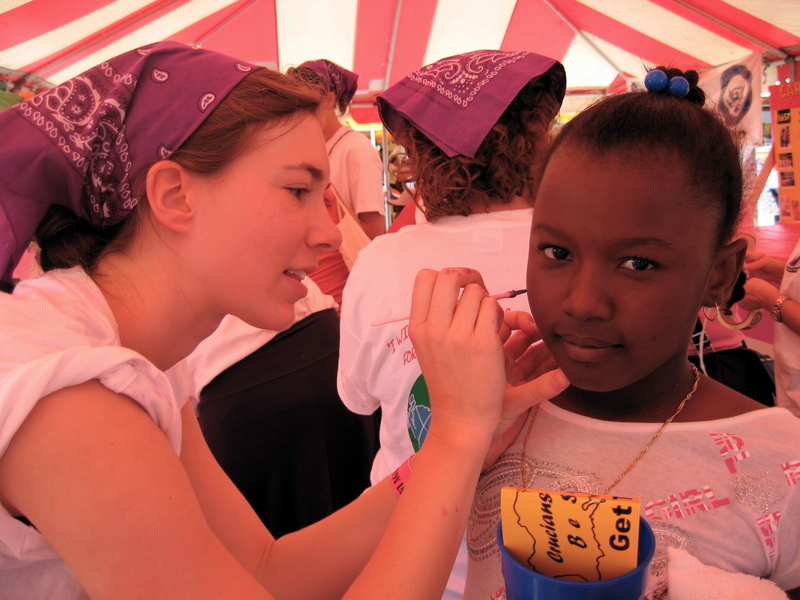 The Hands & Words Are Not For Hurting Project® and Johns Hopkins University School of Nursing have forged an exciting partnership that continues to grow. 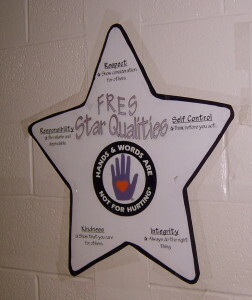 Over the last several years, Nursing students have implemented the Hands & Words Project in schools in Baltimore with stories of success and enthusiasm. 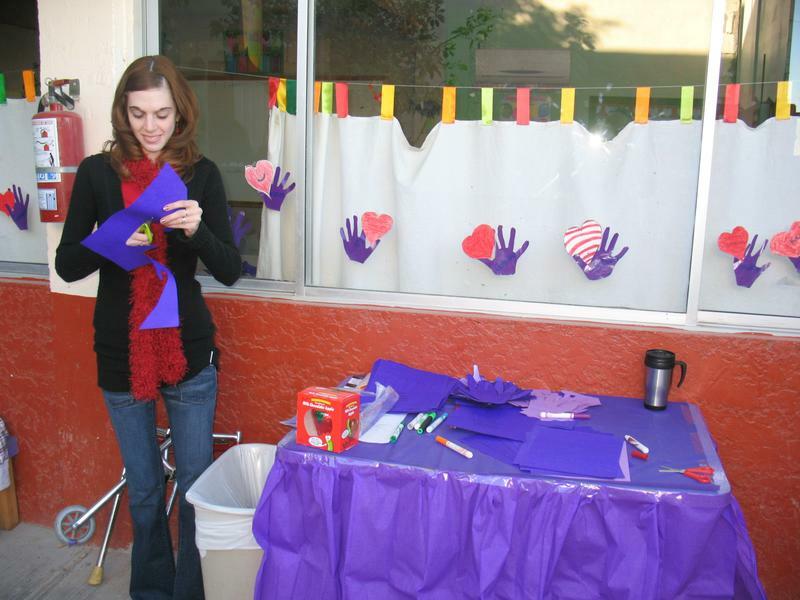 Nursing students host community fair and paint Purple Hands on students in the Virgin Islands, while teaching the participants all about the Hands & Words Project Pledge!